Disclosure: I received sample books to review. No compensation was received and all views expressed are my own. I love picture books. I may love them more than my kids love them. We read books as often as we can. So I was happy to take a peek at a set of new books from Berlin-based children's book publisher Little Gestalten. We were sent five of their debut line of high concept, very unique picture books - and we have enjoyed them so much! This classic Japanese fairy tale tells the story of Issun Boshi, the tiny son of an old, long childless couple. His mother had longed to have a child for so many years that she finally added "even if it is a very small one" to her wish. When the elderly couple did in fact bear a son, he turned out to be only one inch high. He was thus called Issun Boshi, Japanese for one-inch boy. Tiny and brave -- these are the two most striking characteristics of Issun Boshi. 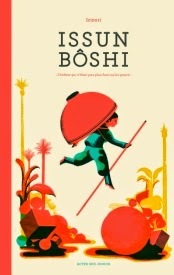 Although his parents raised him very lovingly, Issun Boshi realized one day that he would not grow any taller. He then left his home to set off on a journey to find his place in the world. This book has such a vivid color palette and introduces kids to a fairy tale from another land. This slightly over-sized book features a sweet little story - although I've given my kids a slightly milder version of the page where Issun Boshi is trapped inside an ogre's belly! 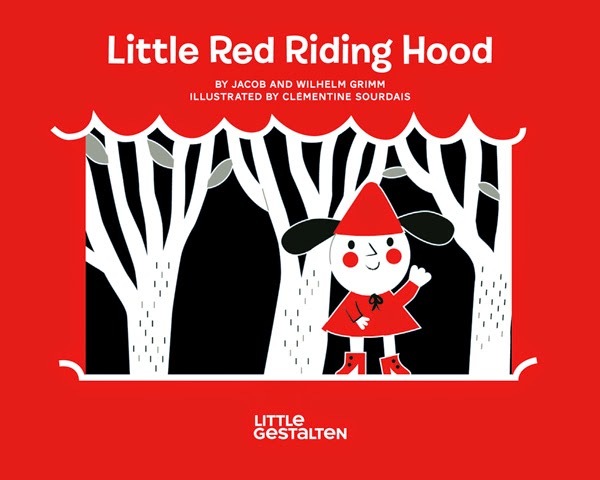 The New York Times Sunday Review describes this book the best -- "Even the classic “Little Red Riding Hood” seems new again in Little Gestalten’s version, with cutout images that can be held up to the light to cast shadows on the wall until it’s time to say, “My, what big, tired eyes you have." This book has one of the coolest concepts ever. It unfolds into a giant artistic panorama that is super cool when you hold it in front of a light to cast shadows on the wall. Not so cool is when your toddler unfolds it and drags it through the house like a scarf. After that incident, it moved to a higher level on the bookshelf! 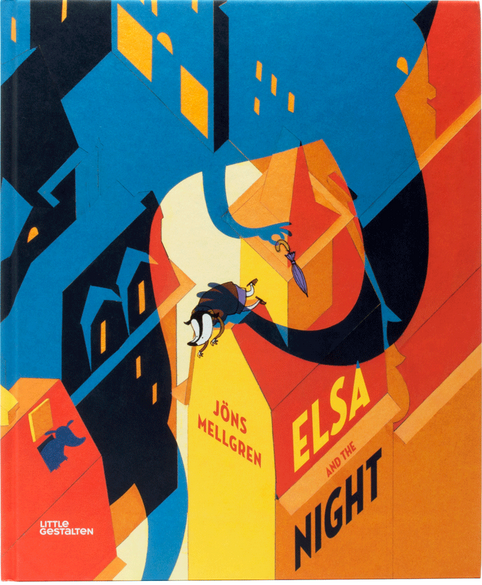 Elsa and the Night tells the story of an extraordinary friendship. Can one make friends with the night? One day Elsa is sitting at her kitchen table and suddenly hears a sound coming from under the sofa. When she investigates, she realizes that it's neither an animal nor a ghost. It's the night. The night not only listens to Elsa, but also accompanies her on a heartwarming and moving journey where it cares for her, protects her, and finally carries her through the town in its arms. A tale translated from Swedish, this story is a bit bittersweet, but intriguing. The muted color tones provide a lovely backdrop for the melancholy telling of how Elsa has not fallen asleep in years. I especially like the way the "Night" starts off very small, but grows until it has become dark all throughout the town. It's very visually pleasing! With this book, even the youngest children can playfully learn their ABCs, the names of animals, and how to count. 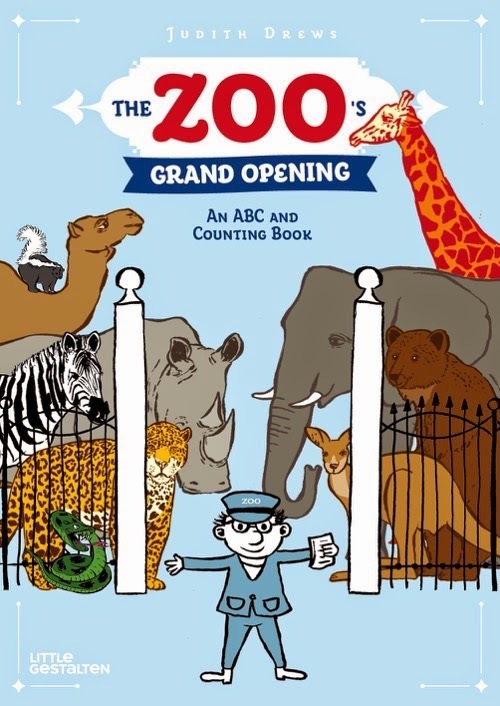 This fun animal book tells the exciting story of a zoo preparing for its opening day. The head zookeeper, who guides young readers through its pages, is waiting anxiously for the animals to get there. Will they all be in their cages by the time the first visitors arrive? My kids love alphabet books, animals, and zoos, so this is our favorite of the collection and the one I recommend the most. It features one page and one poem for each letter of the alphabet, and covers unusual species like dromedaries, quoll, and chameleons. I love the simplicity of the design in this title - each animal is outlined in white on a solid color background. It's a nice touch! C is for cat? D is for dog? Not in this book! Here, Colossal Cornelius captures his companions with his camera and Daisy the diver dares a death-defying dip with dinosaurs. 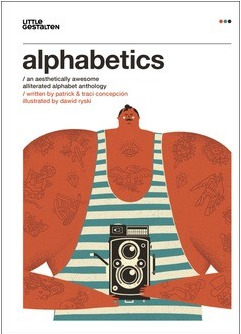 In Alphabetics, each of the alphabet’s twenty-six letters is depicted with an awesome alliteration—not to mention an illuminating illustration—that will captivate and stimulate young minds. Although the lettered tales are meant to be humorous and fun, they also serve a commendable purpose. Complex words are introduced to expand children’s vocabularies and linguistic horizons. The book includes a glossary so that readers can look up any terms that are unfamiliar to them. Wanderlust Wren with a walrus mustache enjoys wearing a warbonnet and warpaint while wayfaring with warbling whales. It's pretty cool, and I think I'll be pulling it out as we study the alphabet in homeschooling adventures! Make sure you follow Little Gestalten on Facebook, Twitter, and Pinterest for all of the latest updates and new product releases! One Director Jewels reader will win a set of the 5 books featured above from Little Gestalten! This giveaway will end on March 25 at 11:59pm CST. This giveaway is open to US readers only. Winner will be emailed and will have 48 hours to respond or prize will be forfeited. Disclosure: I received sample books to review. All opinions expressed are my own. For more information, you can read my Giveaway Policy and my Disclosure Policy. Would love to have Puss an Boots. How Big is Big? How Far is Far? looks like a good book. I like the look of How Big is Big? How Far is Far? These books look adorable. I would love to read "The Incredible Three and a Half Superheroes". I also would love to read "Puss In Boots"
I'd like to read How Big is Big How Far is Far? Only one! Oh my gosh I love all of them. =) But how about The Incredible Three Superheros. My son would love The Incredible Three and a Half Superheroes. Win a Step2 Igloo Wagon for You and a Friend!